Jeram Perlus waterfall is quite a fascinating scene. Not to mention its height clearly making it the tallest waterfall I’ve seen of all my limited waterfall adventures. It is situated mildly deep into the jungles of Hulu Langat as a 2.5 hours trek is demanded in order to be rewarded with such treasure. If you’re looking for a solid trek bundled with picnic and a waterfall all to yourself, Jeram Perlus is highly recommended. So this time around I arranged a small group of 3 first timers who were enthusiastic to include outdoor activities as part of their fitness goals this year onwards. Because we were all sportsmen, I had to search for a hike challenging enough to test our stamina in an unfamiliar terrain but not enough to wear our joints out. Hence I stumbled upon Jeram Perlus. Sharing the same entrance as the ever so popular Sg Gabai waterfall makes Jeram Perlus easy to locate… the parking lot that is. 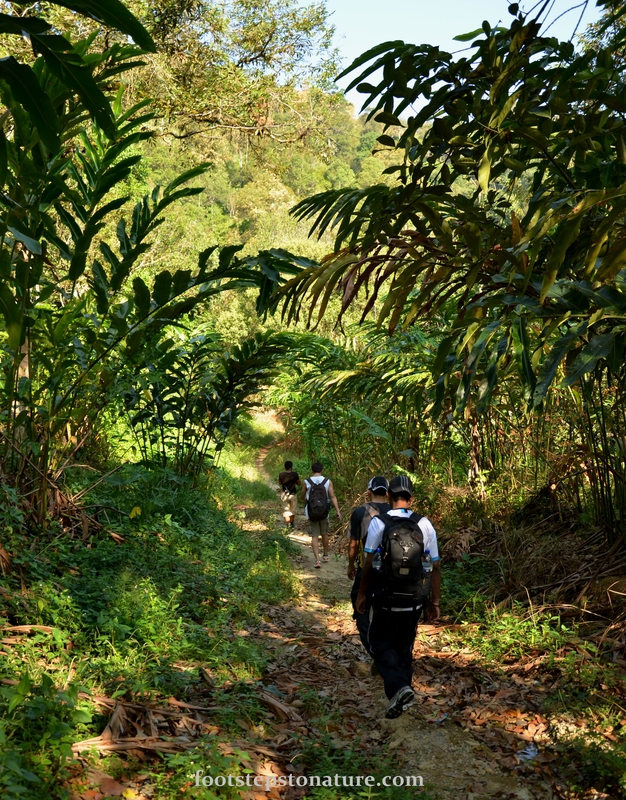 The starting point of this hike should be in an Orang Asli (Native) village. Once you’ve parked your vehicle, follow the road until it reaches the end (you can approach the villagers as they are helpful). 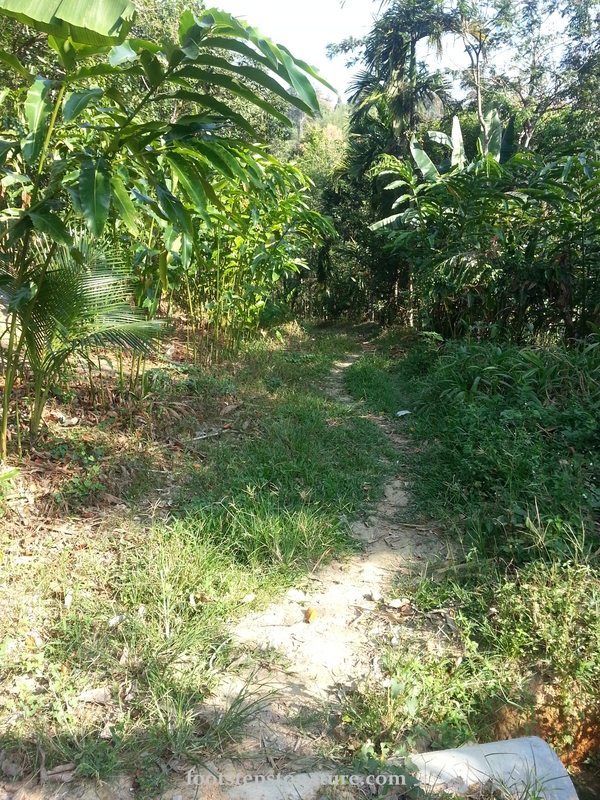 Entrance of the hike, no turning back. I can’t provide accurate directions for this trip hence here’s a tip for those unfamiliar to Jeram Perlus, GET A GUIDE! It’s better to be safe than sorry when you’ve hiked for hours and end up nowhere with supplies dwindling. Remember it’s a 2.5-3 hours hike so unless you’re familiar, best to hire someone who can take you there and return safely. 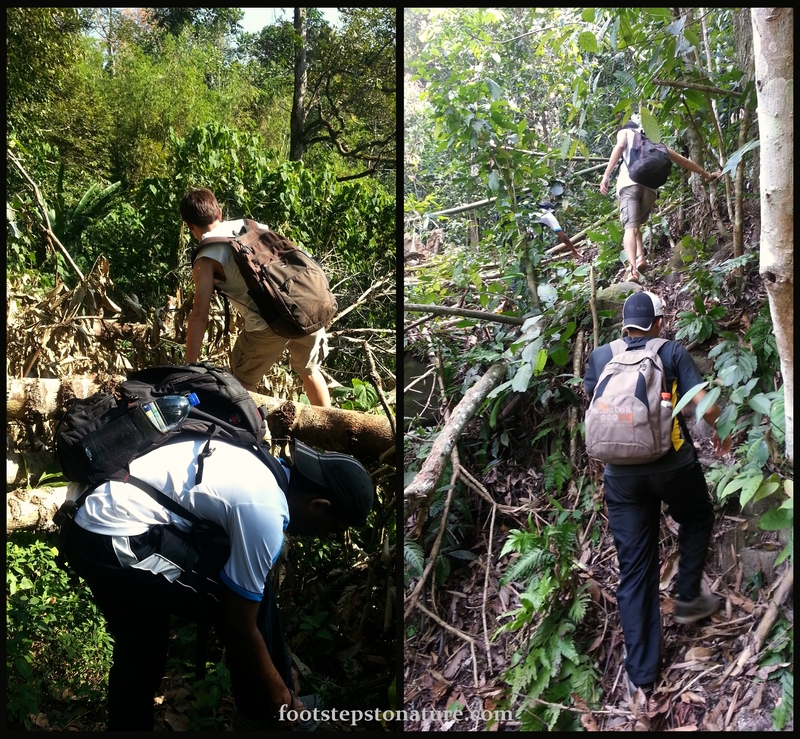 We hired a guide for RM70 (non-negotiable), there were two actually, one lead and the other followed behind… barefooted. His feet were considerably bigger than US size 12 (and thick too! ), perhaps not binding our feet with the sorcery of branded shoes really does make our feet grow? I reckon there are various routes to the waterfall, having read other blogs, the route didn’t seem too consistent with the one we were on. Anyhow this route was slightly challenging in the earlier stages with long stretches of uphill and obstacles made from fallen trees. It was also comforting to know that the village children use the same path to travel to school; maybe our guide was indirectly telling us to buck up… Just my two cents. Left: Fallen tree obstacle at the earlier stage of the trek; Right: The terrain gets tougher at the latter stage as the path takes us along the hill. 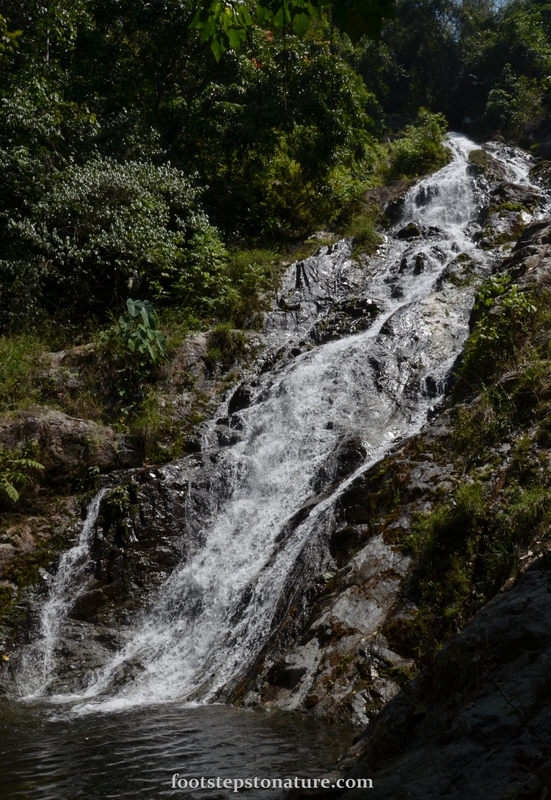 As this was all our first time trekking such a distance, along the way when fatigue began to set in I was constantly looking at my watch and asking the guide “how long more to reach the waterfall?” His reply was the same each time, “not so soon”. In the middle of nowhere it’s easy to lose focus and motivation if you’re not properly hydrated. Thank goodness for the amount of supplies we brought, apparently it was just enough to last the journey back. First sight of a bigger stream, from here we knew we were nearing our destination. It was only after more than 2 hours that we saw plenty of water. It was indeed comforting because throughout the journey we came across more dry bamboo forest than lush greenery; there were even parts where a forest fire had occurred leaving black patches of soot on the ground. Standing at an estimated height of 30 meters, I present Jeram Perlus Waterfall! This type of fall is sloping as you can see making its waters gentle as it flows down from top. Moreover, the volume of water pouring down is spread out thereby reducing its power and momentum. This makes it ideal for lying back against the rock where the waterfall fuses with its pool below. Panoramic view of Jeram Perlus fall, there are 2 small wading pools and several areas for picnic close to the waterfall. Camping sites are located just beside the second pool. That feeling of liberation when one surrenders to be overwhelmed by icy fresh water courtesy of nature’s creation. Our journey back was half an hour quicker since we took fewer breaks and it also felt less intense somehow, perhaps we already had an idea of the trekking distance and familiarity with the terrain. Nevertheless my joints were sore when we finally reached civilisation. I love the feeling of relief, kind of like having a chilled beverage after working long hours in the sun. In this case, standing before the tallest waterfall I’ve seen after the most laborious hike I’ve attempted makes Jeram Perlus an ideal destination for those seeking a good few hours of hiking followed by a relaxing time chilling or camping beside the waterfall. Another plus point was that at the time we went only one of us got caught by a leech which was eventually brushed aside. 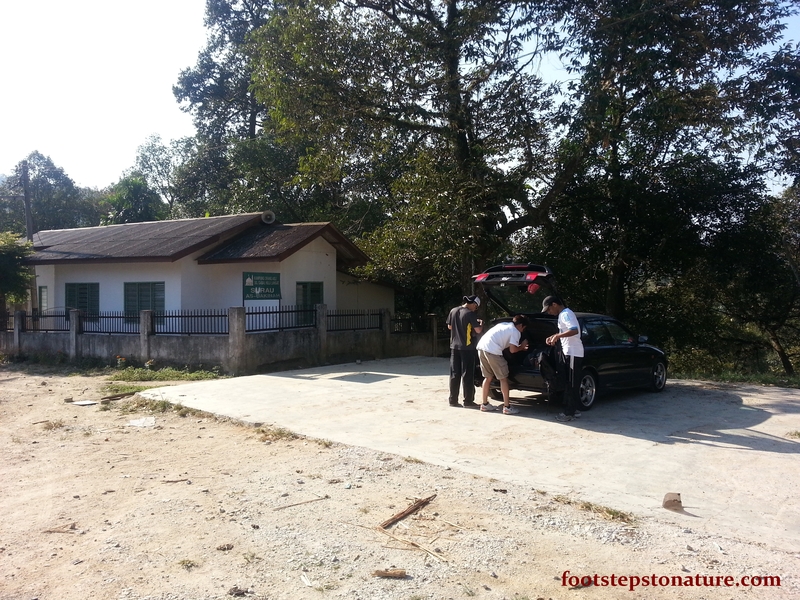 There was a single narrow road leading all the way to the parking spot at the village. 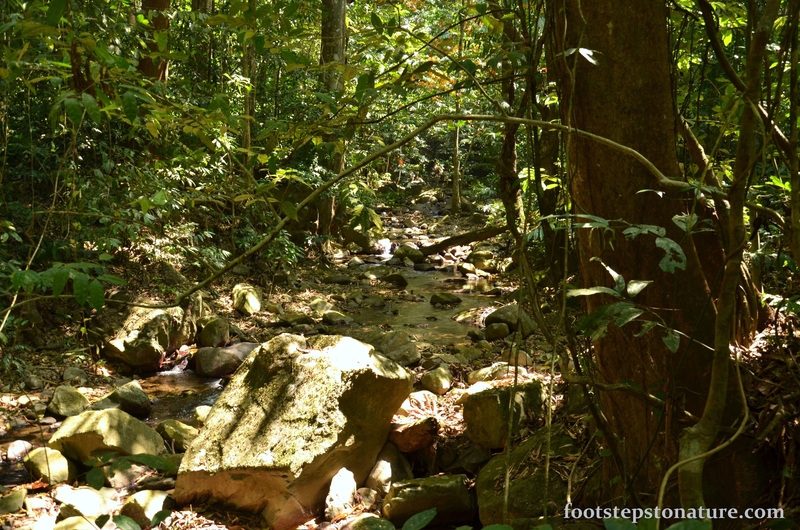 This was definitely the most challenging hike I’ve done in terms of testing my endurance, there were several long stretches of uphill climb which will burn your thigh muscles and the level of humidity will drain the water from your body. Everyone sighed with relief of reaching as well as sighting such a waterfall; this was also my most memorable moment of the whole trek. I’d rate this waterfall trek highly due to its exclusivity and location. It’s not far from the city centre and I’m not a big fan of very crowded waterfalls. The fact that you’d have to trek a couple of km was also contributed to my rating. Be sure to get a guide on your first time or if you’re not too confident with the directions. Park your car at a platform next to the mosque and beware of dog poop! your next one coming out? Hi! how did you get the guide? Is there a phone number you could share? Thanks! Actually the guide was an orang asli at the settlement itself. Before we started hiking, he approached us. Make sure you travel in a group yea.